Black Orchid is a minor character in the DC Comics universe. She is a superhero with a troubled past, and although she first began appearing in comic books in 1973, her origin was a mystery until 1988 when Neil Gaiman wrote his 3 part mini-series entitled, Black Orchid, revealing that she was a plant-human hybrid created by Dr. Philip Sylvain after combining the DNA of Susan Linden-Thorne with the DNA of an epiphytic orchid. 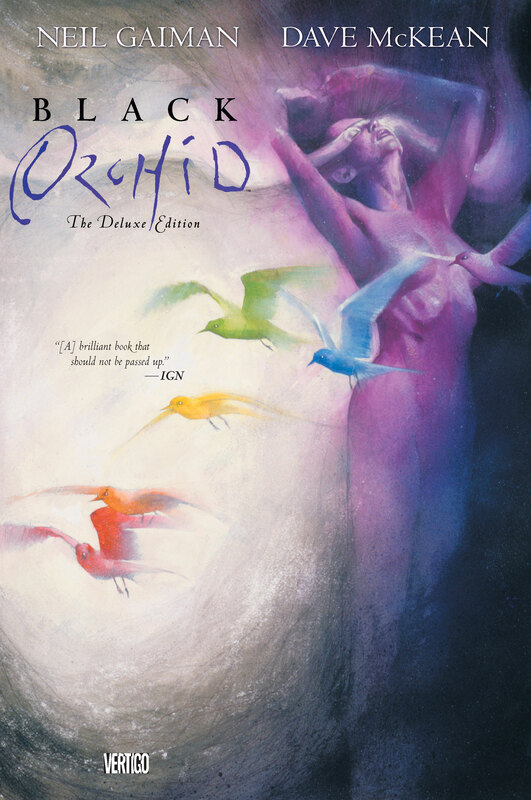 Curiously, in order to reveal Black Orchid’s origins, Gaiman has the namesake of his series killed off within the first few pages. A master of disguise, Black Orchid is following her standard modus operandi of impersonating someone in order to infiltrate enemy headquarters. In this case she is pretending to be a secretary in Lex Luthor’s employ. While sitting in on a board meeting in which the activities of Luthor’s crime ring are being discussed, her secret identity is revealed, which leads to her being tied to a chair and shot through the head. The bullet doesn’t kill her though since invulnerability to bullets is one of her superpowers (along with flight, super strength, shape shifting, and others). However, the building is also set on fire, and ultimately all that is left of Black Orchid at the end of the night are some charred plant remains. The story can’t end there though, so as Black Orchid goes up in flames, two of her clones emerge from flower buds in Dr. Sylvain’s greenhouse. They aren’t sure what they are at first. They have some of Susan’s memories but don’t know what to make of them. One of them is a child called Suzy, and the other is an adult who eventually gets the name Flora Black. They find their way to Dr. Sylvain who tells them the story of how they and the original Black Orchid came to be. Dr. Philip Sylvain tells the Black Orchid clones about his childhood with Susan Linden. Susan was Dr. Sylvain’s childhood friend. They spent lots of time in the garden together learning about plants and growing things. But Susan was abused regularly by her father and eventually ran away as a teenager. Dr. Sylvain didn’t see her for many years, and in the meantime grew up and became a botanist. At university, Dr. Sylvain studied with Jason Woodrue, Pamela Isley, and Alex Holland, each of whom went on to become plant-human hybrids of some sort (Floronic Man, Poison Ivy, and Swamp Thing respectively). Dr. Sylvain had ambitions of making “people of plants” as part of a plan to save a dying earth. His ambitions remained a dream until Susan returned. Dr. Sylvain’s friends from university who later became notorious plant-human hybrids. Susan was running away again – this time from her abusive husband, Carl Thorne, who worked for Lex Luthor as an arms dealer. Thorne was in trouble with the law and was ultimately put on trial for his crimes. Susan came to Dr. Sylvain seeking refuge. She was set to testify against her husband, but before she could do that, Thorne killed her. Dr. Sylvain then used Susan’s DNA to create the crime fighting, superhero, Black Orchid. Coincidentally, as the original Black Orchid is being killed and the two new Black Orchids are emerging, Thorne is finishing his prison sentence and being released. He first goes to Luthor to try and get his job back, but is turned away. 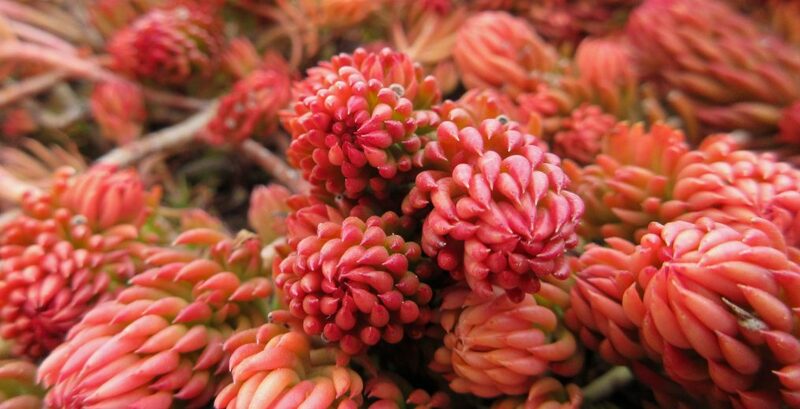 Next he goes to Dr. Sylvain’s house where he discovers the newly emerged Black Orchids. He alerts Luthor, who sends a team to hunt down the “super-purple-flower women” and bring them back to the lab for “examination and dissection.” The rest of the series details the Black Orchids’ mission to make sense of who they are and what their purpose in life is while simultaneously contending with Luthor’s men (and Thorne) who are out to get them. Flora Black meets with Batman, Poison Ivy, and Swamp Thing along the way, filling in her origin story and gaining instruction and insight about her future as a superhero. Gaiman is a popular, prolific, and well-respected author; however, this is the first of his books that I have read. I was impressed by his storytelling and appreciated the departure from the typical superhero vs. villain narrative. 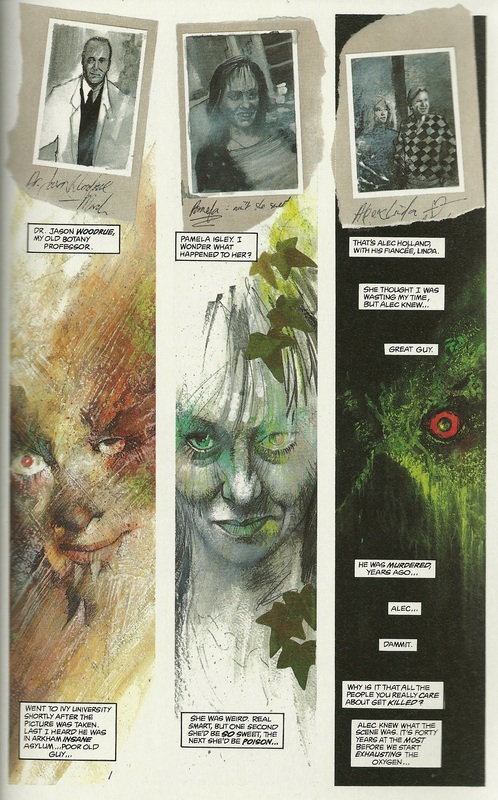 Dave McKean did the artwork for this series, which was an excellent decision as his work is also quite atypical for the genre. His illustrations gave the book a mystical feel as the panels altered from standard storytelling sequences to abstract, fantasy pieces. This Black Orchid storyline continued for several issues after Gaiman’s three part mini-series without Gaiman as the author. Flora Black was eventually killed off. 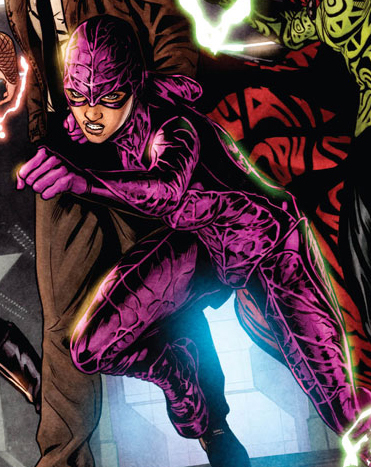 A new version of the Black Orchid character currently appears in the ongoing Justice League Dark series. You can read more about Black Orchid on her Wikipedia and Comic Vine pages. This entry was posted in Botany, Reviews and Recommendations and tagged alba garcia, batman, black orchid, Botany, comics, dave mckean, DC Comics, flora black, graphic novel, justice league dark, neil gaiman, poison ivy, popular culture, reviews, superheros, swamp thing, villians. Bookmark the permalink. 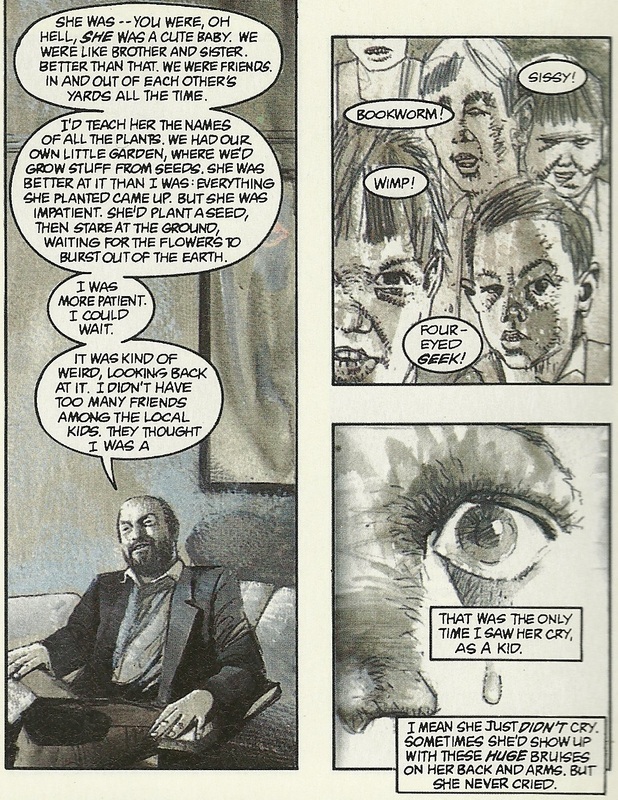 The strangest thing, Dan – I’ve been looking at Neil Gaiman’s work since yesterday, when a friend mentioned him. I wasn’t that familiar with his work either, except for the film Coraline, which I took my daughters to see years ago. He has an amazing commencement speech for artists on YouTube that is helping me keep the faith today as I continue the work of trying to get my art into the world. Now I see this. It feels like a sign. Thank you! How very serendipitous! Glad I could help in some small way…without even knowing it. I should look up that speech and read more Neil Gaiman.